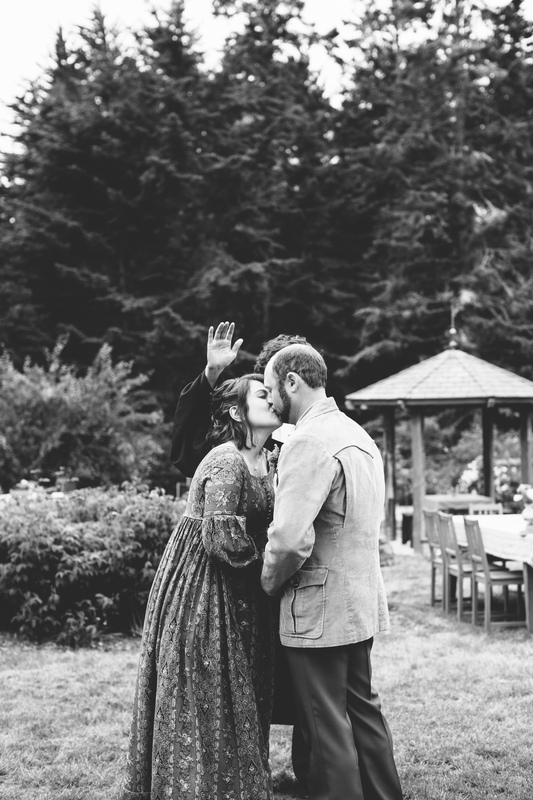 Gwyneth and Skylar were married at her parents property in Mendocino surrounded by an intimate group of friends and family; not a dry eye in sight. Gwyneth, ever the glowing bride, was also 7.5 months pregnant and wore her mother's red paisley wedding dress. Is there anything more radiant?! Congratulations to these sweethearts, I can't wait to meet the little babe.